Exodus 25:10 Have them make a chest of acacia wood . . . 25:13 Then make poles of acacia wood and overlay them with gold . . . 25:23 Make a table of acacia wood. These were the instructions, from God, for the type of wood to use in building the Ark of the Covenant and Altar. What is so special about acacia that God specified its use? Throughout the world there are about 1,300 species of acacias. Some are trees and some are shrubs. 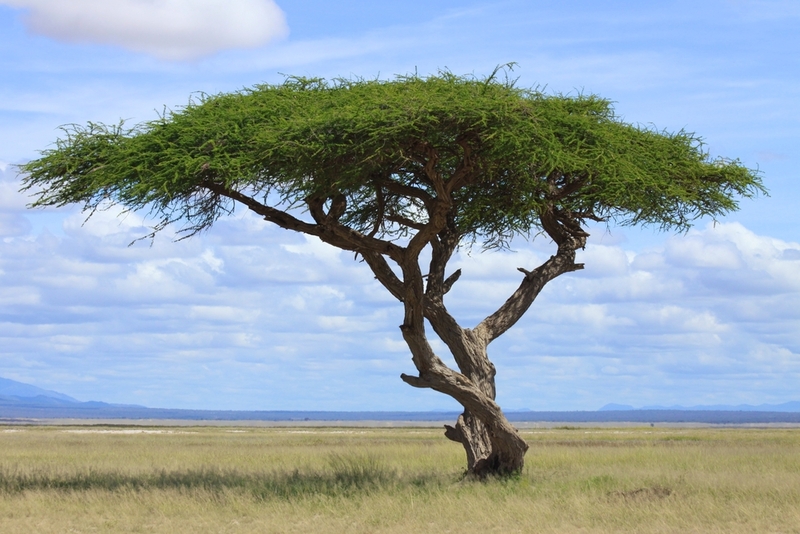 Most acacia is found in the Middle East, Africa, Australia and Hawaii. So being in the Middle East it would be available to the Israelites. Why specify acacia? Well, for one it is about the only tree available in the area where the Ark and Altar were made. To understand why they used acacia let me tell about a local tree that is similar. The scientific name for black locust is pseudoacacia. Pseudoacacia means not actually, but similar to or like acacia. We know that black locust is very dense, hard, impervious to insects and rot, and the wood is just plain pretty. Here in Pennsylvania we use black locust for fence posts, and at one time they were used as timbers for mines, and anywhere wood would come into contact with water. I have heard that a black locust post will last twice as long as the hole. That is also a description of acacia wood. It is just tough and pretty. The Ark and the Altar were important items to the Jewish faith and were made to last. Symbolically, acacia is indestructible. At the time of the Ark, the wood was called shittah or shittahz, acacia is the Greek translation. Both acacia and black locust are legumes with means a couple of things. They are related to peas, peanuts, lentils, soybeans, clover, alfalfa, etc. The roots have nodules that contain nitrogen fixing bacteria. That is the ability to take nitrogen from the air and make it available for plant use in the soil. Legume seeds are contained in a pod which, when ripe, will dehisce and let the seeds fall to the ground. I Chronicles 16:33 Let the trees of the forest sing, let them sing for joy before the LORD, for he comes to judge the earth.